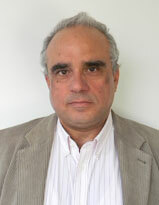 Dr. Andreas Hadjixenophontos is an Associate Professor in Accounting and Finance. He graduated in 1985 from the Department of Accounting and Finance of the London School of Economics. He holds a postgraduate degree and a PhD in the same University (1997). During the period 1998-2000 he was the general manager of the Cooperative Societies ‘ Audit Office, an independent semi-public organization, and during the period 2001-2004 he served as Chief Executive Officer in one of the largest investment groups in Cyprus. In 2017 he has been appointed senior academic advisor and teaching Fellow at the Royal Holloway of the University of London. In the last 25 years he has served as a consultant in various Boards of private companies in both Cyprus and in Greece. Between the years 1990 – 2000 he was an active member of the educational committee as well as the Standards Committee of the Institute of Certified Public Accountants of Cyprus. From 1988 he is a member of the Institute of chartered Accountants in England and Wales.